The content of history textbooks and curriculum is an important factor in the political socialization of succeeding generations of students. This study of representative classroom textbooks authorized for use in Ontario at three distinct eras of the 20th century shows how the main lines of interpretation have shifted over time. During the pre-World War II era, the persistent underlying tone was one of reverence for Canada’s connection to Britain. By mid-century, the main theme was Canada’s bilingual dualism within North America. As the end of the 20th century loomed, the textbook authors were focusing much more on previously marginalised groups within the Canadian multicultural mosaic. Each era produces its own historical narrative, but within the school context, an authorized interpretation impacts the beliefs of the generation to follow. The ultimate goal must be to nurture democratic citizens of the global future with a sure understanding of their own national identity. School curriculum and the content of classroom textbooks have the potential to make a deep and lasting impact on the attitudes, beliefs, and values of the students who pass through the educational system. In no subject discipline is this more true than in the case of history. What topics are covered and which are not, whose stories are emphasized and which are neglected, what moral slant is placed on contentious events, whose account is given pride of place – all these questions reveal the potentially powerful impact of textbook and curriculum content upon the shaping of individual and community values. In this paper, we will examine a representative sample of three approved textbooks from each of three 20th-century eras: pre-World War II, mid-century, and end-of-the-century, with a particular focus on the depiction of British connections. A knowledge of how these textbook images evolved through the 20th century will prove beneficial for educators, policy-makers and concerned citizens, as they consider appropriate curriculum and publishing guidelines for the 21st century. Canada and Ontario were rather different places, one century ago. Today, Canadians contend with the implications of their geographic proximity to an economically impaired but still hegemonic American empire. One hundred years ago, it was their membership in the British Empire which presented Canadians with difficult choices and intriguing possibilities. Early in the third millennium, the Canadian government is pondering troop commitments to an internal armed conflict in Afghanistan. A little over a century ago, the Canadian government was coping with the repercussions of its decision to send volunteer troops to South Africa. Constitutionally, Canada at the turn of the 20th century was a self-governing Dominion within the British Empire. Foreign policy decisions were still the prerogative of the imperial government in London. Within Canada, Ontario’s population made it then, as it does now, the largest province. A much larger percentage of the Ontario population, during the first third of the 20th century, was accounted for by people of British stock, that is to say English, Irish, Scots and Welsh, than is the case today. However, this proportion had already started to decline, according to census data, from over 80% in 1881 to less than 75% in 1931. Moreover, these kinship ties to Britain competed with economic and cultural connections across an increasingly porous border with the rapidly rising United States. One institution stood out as a potential bulwark against Yankee influence: the public school. The British North America Act of 1867 had conferred responsibility for education upon the provincial governments. In Ontario, this crucial agent of socialization was given the job of nurturing a responsible citizenry, and one loyal to both Canada and the British Empire. Until after the First World War, school attendance was compulsory in Ontario only to the age of 14, and it was not until after World War Two that large numbers of students stayed in high school long enough to graduate. Consequently, knowledge about Canadian and British history, seen as a key part of citizenship training, had to be conveyed by the senior elementary grades, or certainly by the end of Grade 9 or 10. The Department of Education in Toronto took a keen interest in both the details of curriculum content, and the approval of appropriate textbooks. Unauthorized publications simply could not be used, and curriculum regulations held the force of law. The top-down nature of the process, with school instruction used to inculcate particular ideas and values, was overtly intentional, and dated back to Egerton Ryerson, founding architect of the Ontario school system. 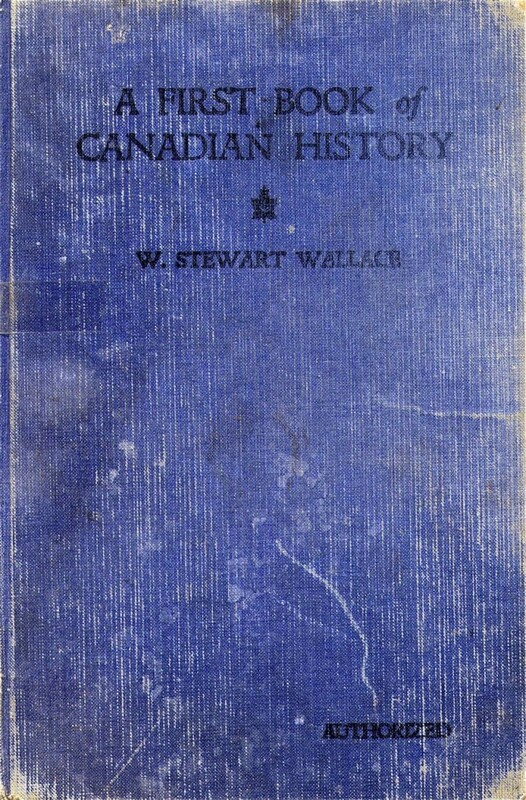 A First Book of Canadian History (1928), by W. Stewart Wallace of the University of Toronto Library. All three books were authorized by the Minister of Education for use in Ontario, were widely used, and enjoyed a lengthy shelf-life. This qualitative content study focuses on the prime ministerial years of Wilfrid Laurier and Robert Borden, 1896-1920, as covered by these three publications. The reality of the close British connection is made readily apparent in each of the three textbooks by the prominent display of the imperial monarch’s photograph right up front. Clearly, loyalty to the British Sovereign was expected of Ontarians in the first third of the twentieth century. Moreover, frequent references to the “Mother Country” provide solid evidence of a sustained familial metaphor in the discourse of these three authors. Great Britain was depicted as the guiding, nurturing and protective parent of a still-young but rapidly developing Dominion of Canada. In their hands, Canadian nationalism and pro-British imperialism were two sides of the same coin. They painted for their young readers a glowing future for Canada, but one solidly grounded within the British Empire. One of the first actions of the Laurier government was to reduce tariffs on British imports – the British preference. This policy initiative, when added to the warm impression created by Laurier himself at the Diamond Jubilee celebrations in 1897, was credited by these authors with a significant strengthening of British-Canadian relations, much to their approval. As a French-Canadian representing the most prominent white Dominion, he seemed, in the words of Wallace, “to be the embodiment of those principles of freedom for which the British Empire stood.”[i] Laurier’s heroic stature was put to the test with the onset of the Boer War. French Canadians viewed the conflict as faraway and irrelevant; by contrast, pro-British patriotic feeling ran high in English-speaking Canada. Laurier’s compromise approach, in accepting that when Britain was at war Canada was at war, while reserving the actual participation to volunteers, seemed to preserve the authors’ ideal of a united Canada within a united Empire. And the very fact of a heated internal controversy over whether Canada should aid Great Britain was depicted as a step on the road to national maturity within the Empire. Another boost to Canadian self-confidence arose from the rapid growth in the economy, accompanied by a dramatic jump in population. The three authors agreed that the Liberal government’s aggressive advertising policy to encourage immigration was a key contributor to success, but they equally betrayed misgivings about the origins of some of these migrants. Wrong, for instance, noted enthusiastically that many thousands were pouring in from America, Great Britain and eastern Canada, but then referred to the daunting task of “assimilating so vast a horde of newcomers”[ii] from continental Europe. While none of the authors subscribed overtly to the fashionable Edwardian theories of race-degeneration, both Wallace and Grant were open about their racial assumptions. While acknowledging the “red man’s” initial occupancy of Canada, Wallace did not paint a flattering picture of the indigenous culture, declaring that “the original inhabitants of Canada were of a somewhat primitive type.”[iii] The Native Peoples had disappeared from his narrative by the turn of the twentieth century. Meanwhile, Grant discussed approvingly the barriers placed in the way of potential Chinese and Japanese immigrants, whom he tellingly referred to as “the yellow men,”<[iv] in the early years of the twentieth century. His prejudice against Asian peoples seems to have been based equally upon fear and ignorance. The fact that it appeared between the authoritative covers of an officially approved textbook makes it particularly noteworthy. By the 1890s, the United States began to take a more aggressive stance in international affairs. Canada became involved when President Theodore Roosevelt insisted upon a resolution of the disputed boundary between British Columbia and Alaska that gave the U.S. all the coastline north of 54°40?. In the end the arbitration panel, consisting of three Americans, two Canadians and one Briton, decided by a vote of 4 – 2 (with both Canadians opposed) upon a boundary that favoured the U.S. position. In 1903 most Canadians were furious, but our authors took a more benign view, lauding Britain for nudging the bellicose Roosevelt into peaceful arbitration. Later, they condemned the freer trade agreement with the United States that the Laurier government proposed during the Reciprocity election of 1911, picturing it as a risk to Canada’s sovereignty and British identity. In the end, they interpreted the electoral verdict which ushered in a new Conservative government under Robert Borden as more pro-British than anti-American. That same election in Quebec had hinged upon Laurier’s proposal to create a Canadian navy. While these authors lauded him for standing up to the isolationist Henri Bourassa, two of them – Wrong and Wallace, writing after the conclusion of the Great War – denounced both Borden and Laurier for Canada’s woeful state of military preparedness in 1914. They did agree with Laurier that when Britain was at war, Canada was at war. When the Mother Country was threatened, could the daughter lands hesitate? However, in their view it was more than the ties of blood; as Wrong phrased it, “Canada, and every other part of the Empire, knowing that liberty was at stake in face of the German menace, sprang to arms.”[v] Both Wrong and Wallace agreed that Canada’s contribution to the war effort was exemplary – a story of courage and sacrifice well worth emulating. 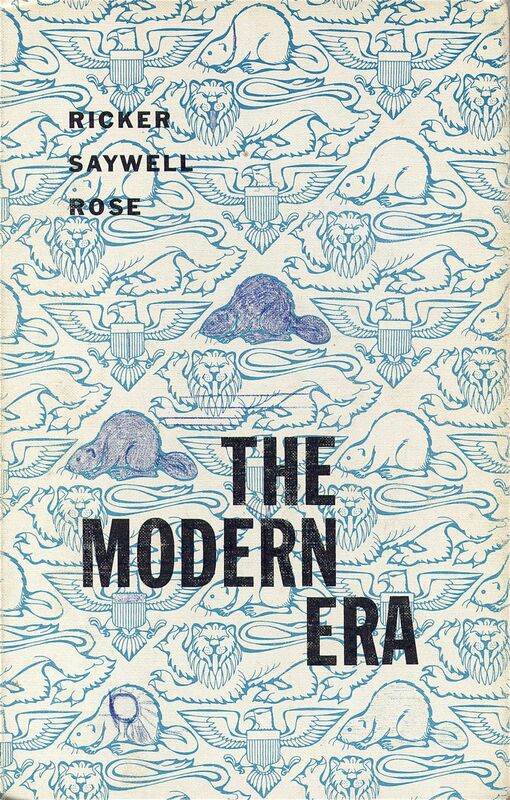 And ironically, given that Canada entered the war because Mother Britain entered, the authors agreed that the country emerged from the conflagration a lot closer to maturity and even independence. Emotionally many British Canadians might continue to see themselves as members of a great worldwide Empire, but constitutionally, the new idea of a British Commonwealth was the truer harbinger of Canada’s future. Canadian independence within the British Empire and Commonwealth was confirmed by the 1931 Statute of Westminster. In 1939, Canada made her own declaration of war, and by 1945 she was recognized internationally as a key middle power. At home, the potential for bi-national disunity became apparent in the renewal of the conscription crisis that had marred the war effort in World War I. Meanwhile, Ontario had changed, too. Urbanization and industrialization continued to transform the province, which enjoyed both rapid population growth and a booming economy for most of the quarter-century from 1946-1970. Many new jobs required skills that went beyond basic literacy and numeracy, and so parents and school authorities encouraged students to stay in school at least until high school graduation. A growing number would go on to college or university. The province produced a new curriculum to match these changed expectations. 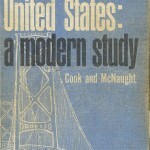 Canada and the United States: A Modern Study, by Kenneth W. McNaught and Ramsay Cook, both at that time in the history department, University of Toronto, for the grade 13 course. Liberal nationalism of the colony-to-nation, Anglo-French dualist variety predominated in these accounts, and Wilfrid Laurier was portrayed as the ideal Canadian political leader. With him as the unquestioned hero, these narrative texts needed, if not villains, at least antagonists. Two of these books identified Joseph Chamberlain, the British Colonial Secretary for several years, as an enemy of the Laurier vision, for his persistence in pushing a pan-global imperial federation centered in London. While Brown did not demonize Chamberlain, he was one with the others in identifying Henri Bourassa, eloquent grandson of the 1837 rebel, Louis-Joseph Papineau, as Laurier’s chief antagonist within Canada. He and his fellow Quebec Nationalists were depicted as extremists, while Laurier was the architect of the sunny middle way leading to pan-Canadian unity. The textbooks of this era displayed a more positive attitude to the ethnic immigrants who poured into Canada after 1900. That English-speaking newcomers from Great Britain and the United States would quickly blend in with the British-Canadian mainstream outside of Quebec was assumed. Brown, whose book appeared earliest of the three, was frank about the challenge surrounding the newcomers from continental Europe, who numbered close to one million in a country of some seven million in 1911. He assured his young readers that, in spite of a natural attachment to their native countries, the vast majority would become loyal citizens. Brown painted a picture of a mutually beneficial exchange. In return for land and freedom, the immigrant peoples contributed “qualities of thrift and patience, a love of beauty, of music, and of handicrafts, which, if woven into Canada’s life, could colour and enrich it.”[vi] The other two authors were less effusive than Brown, but all gave credit to Clifford Sifton for his marketing zeal in attracting immigrants from non-traditional sources. 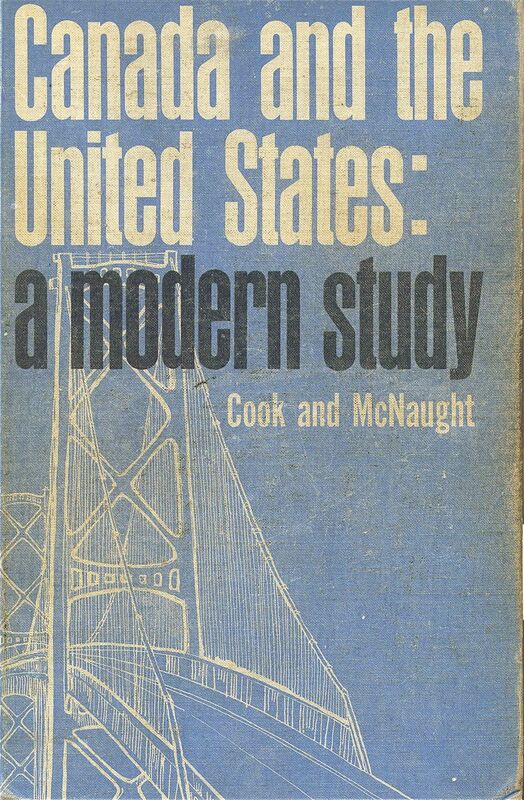 When it came to relations with the United States, the textbooks from this mid-century era took a balanced approach between imperialism and continentalism. While noting that Canadians in 1903 were enraged at the decision reached by the Alaska boundary tribunal, feeling themselves deserted by Great Britain and bullied by the Untied States, these authors nevertheless maintained that the Americans had the stronger case. The real importance of the incident, they concluded, was to harden Canadian resistance to Laurier’s subsequent reciprocity trade deal in 1911. While Brown noted voter confusion over the economic merits of Reciprocity, the other two books focused on the organized resistance of Canadian Big Business. Economic self interest provided the motivation, while age-old nationalist fears of American expansionism, fanned by the Alaska boundary decision, supplied the pretext, as these authors saw it. The lines of interpretation laid out by Wrong and Wallace with respect to Canada’s participation in World War I were not significantly challenged in the mid-century textbooks. One wartime issue which did attract much more attention in the second batch of textbooks was the conscription crisis. 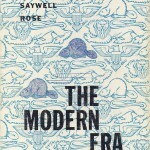 For the mid-century authors, the prevailing motif was tragedy. World War I had claimed, as but one of its many victims, Canadian unity. As Ricker et al pointed out, for Canadians “who traced their ancestry to Britain, it was enough that the mother country was in danger for them to rush enthusiastically to her defence. The French Canadians had been separated from Europe for centuries and regarded Canada as their only mother country.”[vii] Resentment and bitterness across the linguistic divide was the inevitable result. Against this backdrop, the authors presented three key actors in the Canadian melodrama – Robert Borden, Henri Bourassa and Wilfrid Laurier – each portrayed as an honourable human being, playing a pre-ordained part in the tragedy. McNaught and Cook particularly emphasized Borden’s larger war aims. “If he were ever to convince Great Britain and the world that Canada deserved to be recognized as a nation,” they observed, “he could not allow his country’s war effort to slacken.”[viii] Nevertheless, a heightened international status and deeply-felt pride amongst English-speaking Canadians for their accomplishments on both the home front and the battlefront, came at a huge cost. French Canadians felt a strong sense of betrayal, when military conscription was imposed by a Union government that excluded them. This was the portrayal of Canada in World War I by our mid-century Ontario history textbooks. Changes to the Immigration Act by the governments of Lester Pearson and Pierre Trudeau in the 1960s had by 2000 produced a very different country from the WASP-ish, Anglo-conformist society that predominated in the early 20th century. Even in Quebec, where controversial language laws defended the pre-eminent status of the French language, large numbers of immigrants from Asia, Africa, Latin America and the Caribbean began to alter the makeup of the traditional ‘pure-laine’ community. Furthermore, already-resident visible-minority groups, notably Aboriginals and African-Canadians, began to request a place in the authorized story of Canada. Membership in the British Commonwealth came to mean less and less, while sharing a continent with the world’s reigning superpower, the United States of America, came to mean more and more. Such changes would have to be reflected in a revamped curriculum, and a new generation of textbooks. The influence of progressive education, most clearly represented in the Hall-Dennis Report of 1968, contributed to a reduction in the number of required courses in the Ontario curriculum. Fewer and fewer students signed up for optional history classes. 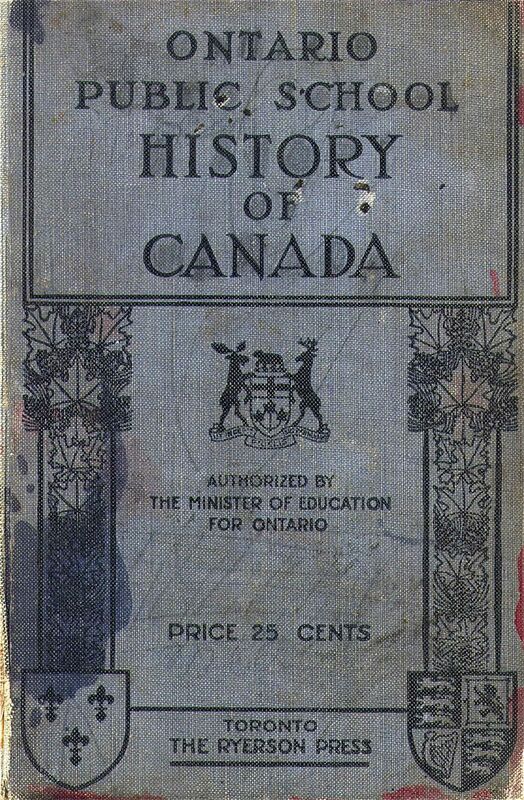 By the mid-1980s, students were required to take history only in Grade 7 (Canadian history up to 1800), Grade 8 (Canada, 1800-1900), and Grade 10 (20th-century Canada). Students who opted for more history in senior high could choose from these courses: ancient and medieval; modern Western civilization; modern world (20th Century); American; and Canada in a North American perspective. At the same time, the impact of progressive educational theories had begun to alter the way history was taught. There was now less emphasis on the absorption of factual content, and more on the acquisition of skills in critical thinking, oral and written communication, and inquiry research. 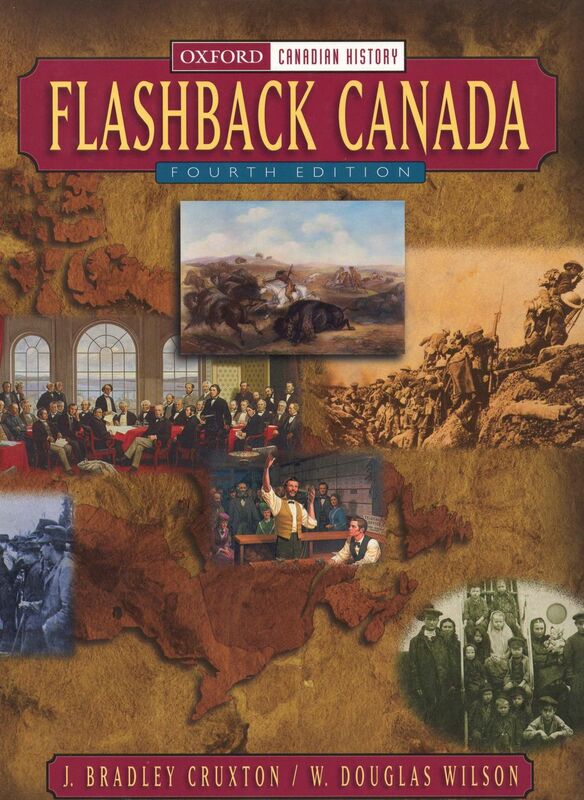 Flashback Canada, 4th edition, (2000) for a revised Grade 8 course which now extended to the First World War, by J. Bradley Cruxton and W. Douglas Wilson, both Ontario educators. One noticeable change in these textbooks is that Wilfrid Laurier seemed to lose his halo. Still praised for his skill at working out compromises, these authors nonetheless derided him for accomplishing little in the Canadian autonomy file, and for failing to bridge the Anglo-French divide over the naval issue and conscription. He was portrayed as the loser in the Alaska boundary dispute, and as incredibly naive for trying to resurrect the discredited free trade issue in 1911, in the face of determined opposition from the Canadian economic elite. Other political leaders were similarly criticized. While Clifford Sifton was cautiously lauded for opening up Canada’s immigration policy, his successor, Frank Oliver, was denounced for a more restrictive approach that purposely excluded Asiatics, Blacks and Jews. Robert Borden was presented as an honest if plodding Anglophone with little understanding of Quebec, while Henri Bourassa emerged as the courageous voice of French-Canadian Nationalists. Two of the books – by Eaton and Newman, and Cruxton and Wilson – included sections on the plight of the Aboriginal Peoples. Living under the restrictive provisions of the 1876 Indian Act, the boom times of the early 20th century did not extend to the First Nations. Duncan Campbell Scott, who became Superintendent of Indian Affairs in 1913, was taken to task for his overtly assimilationist goals, and the practice of sending Aboriginal children to residential schools was denounced as a dismal failure, for disrupting both the traditional value system and familial ties, without providing either fair treatment or a quality education. The handling of Canada in World War I generally followed the mainstream lines laid out by the mid-century authors. Initially the population was united but as the bloody war dragged on, nasty tensions began to surface. Canadian soldiers proved themselves the match of any, but the imposition of conscription sorely divided the country. In contrast to previous generations of textbooks, these authors paid as much attention to developments on the home front as to events at Ottawa and in war-torn Europe. Significant space was devoted to the changing role of women, the treatment of ‘enemy aliens,’ the heightened production of food and munitions, profiteering and scandal, government propaganda, social reform, and the Halifax Explosion. History from the bottom up was taking its place alongside more traditional accounts of macro-political and military developments. Complete knowledge of the past, even if it were possible, would still not constitute an infallible map to the future. History never repeats itself in full detail. But a sophisticated understanding of past events can serve as a helpful guide to present choices and future priorities. There can be little doubt that the curriculum and textbooks used in schools are intended to have a significant impact in shaping student values, nor that their essential message – sometimes overt, often submerged – generally reflects the attitudes of established elites. The three textbooks sampled for the first (pre-World War II) era were overtly inculcative. The authors saw their role as not just describing the key events, but also as placing an interpretation upon those facts. In sum, they depicted Canada as a rapidly maturing British nation, albeit one with a longstanding French minority, and a country whose past was glorious and future bright. Ontario’s students were encouraged to view the British Empire as a benevolent sisterhood of rising new countries, headed by Mother Britain, the greatest beacon for freedom known to mankind. By mid-century, the message in the approved textbooks had altered somewhat. Wilfrid Laurier was even more lauded as the ideal Canadian, compromiser par excellence, and a man of vision, dedicated to the welfare of his North American country. Overtly pro-British bias was gone, and this was matched by a new openness to the reality of large numbers of new Canadians whose heritage was neither British nor French. While British history was still prominent on the provincial curriculum, it was now joined by courses that focused on American and European history. Students taking the prescribed courses would absorb a largely benevolent impression of Western civilization, particularly as epitomized by Britain and America. As the end of the 20th century approached, the approved textbooks had again evolved. Less content-laden, more visually appealing, they contained far more social history than ever before. There was no attempt to inculcate pro-British attitudes. In its place, there was a new focus on groups previously overlooked, such as women, Aboriginals, the working class, and marginalized ethnic groups. Celebrating Canada’s diverse heritages inevitably de-emphasized the British roots. Ordinary people figured more prominently in the authorized narrative; elite leaders were less blatantly portrayed as heroes or villains. This was a marked change from the books approved for use in Ontario schools 75 years earlier. What should be the prominent threads in a new historical tapestry provided for Canadian and Ontario students in the 21st century? Surely the goals have not changed much since Egerton Ryerson’s day: to nurture informed democratic citizens with a secure sense of their own heritage and identity. However, citizenship literacy consists of more than acquired knowledge of the past, though that must be its foundation. To a broad understanding of Canada’s origins, from its aboriginal roots through the French and British eras to the multicultural present, must be added skill sets such as effective communication and critical thinking, as well as character-shaping values that support tolerance of diversity, commitment to community service, support of fundamental human rights, opposition to injustice and respect for the planet’s environment. Approved textbooks will need to reflect this tripartite division of key curriculum goals into knowledge, skills and values. Moreover, to the existing list of courses required for secondary-school graduation must be added one more: modern world history. Democratic citizenship, to be meaningful in today’s inter-connected postmodern world, must be global in scope. From the Great Peace of Hiawatha to the International Court at The Hague, the next generation of Canadians must be educationally immersed in the full breadth and depth of their rich cultural heritage. 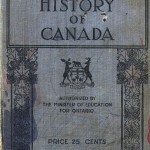 The foregoing study of a representative sample of the approved textbooks and curriculum used in Ontario over the course of the 20th century sheds much useful light on helpful features that should be retained, as well as what needs changing, if our country and its young people are to reach their full potential. .W. Stewart Wallace, A First Book of Canadian History (Toronto: The Macmillan Company, 1928), p.200. .George W. Wrong, Ontario Public School History of Canada (Toronto: The Ryerson Press, 1921), p.342. .W. L. Grant, Ontario High School History of Canada (Toronto: T. Eaton Co., 1914), p.347.
. George W. Brown, Building the Canadian Nation (Toronto: J. M. Dent & Sons, 1950), p.369.
. John C. Ricker, John T. Saywell and Elliot E. Rose, The Modern Era (Toronto: Clarke, Irwin, 1960), p.128.
. Kenneth W. McNaught and Ramsay Cook, Canada and the United States: A Modern Study (Toronto: Clarke, Irwin, 1963), p.418.
. J. Bradley Cruxton and W. Douglas Wilson, Flashback Canada, 4th ed. (Toronto: Oxford Unversity Press, 2000), p.206.
. Diane Eaton & Garfield Newman, Canada: A Nation Unfolding (Toronto: McGraw Hill Ryerson, 1994), p.84.
. Paul W. Bennett, Cornelius Jaenen, Nick Brune & Alan Skeoch, Canada: A North American Nation (Toronto: McGraw-Hill Ryerson, 1989), p.440. 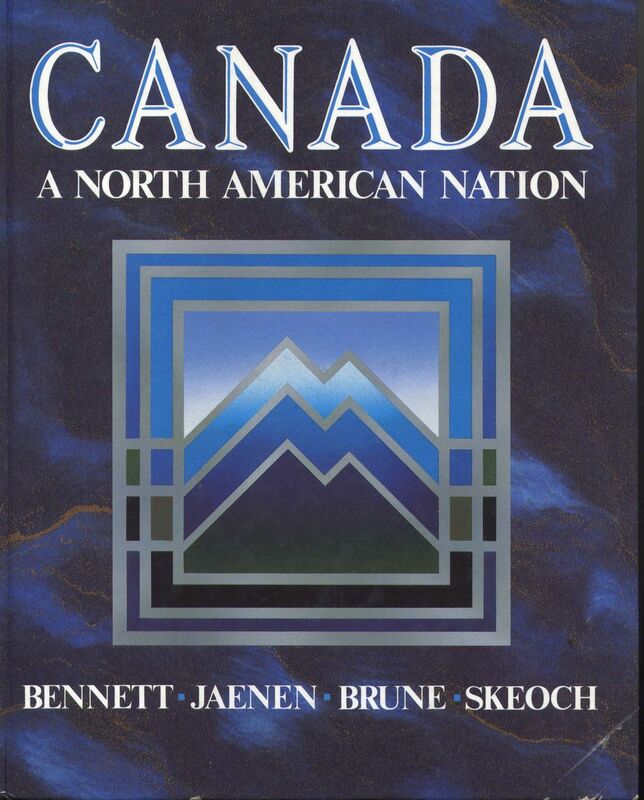 Paul W. Bennett, Cornelius Jaenen, Nick Brune and Alan Skeoch, Canada: A North American Nation (Toronto: McGraw-Hill Ryerson, 1989). 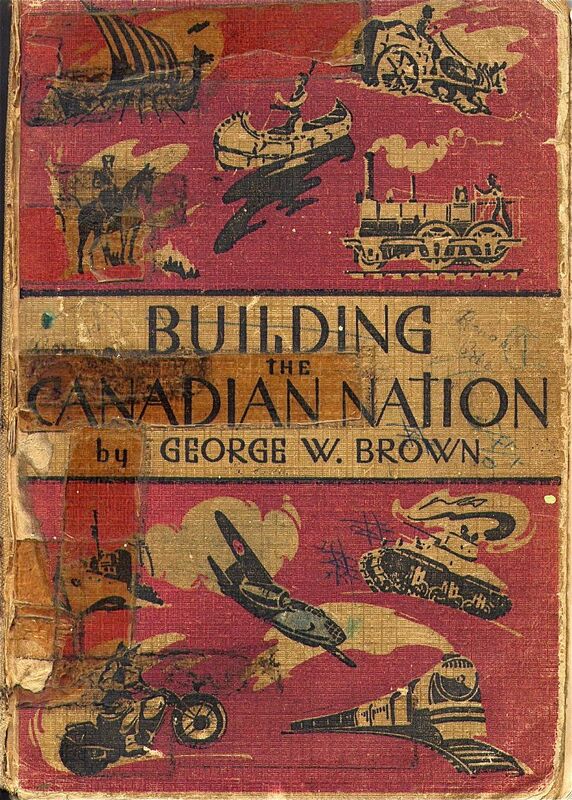 George W. Brown, Building the Canadian Nation (Toronto: J. M. Dent & Sons, 1950). J. Bradley Cruxton and W. Douglas Wilson, Flashback Canada, 4th ed. (Toronto: Oxford University Press, 2000). 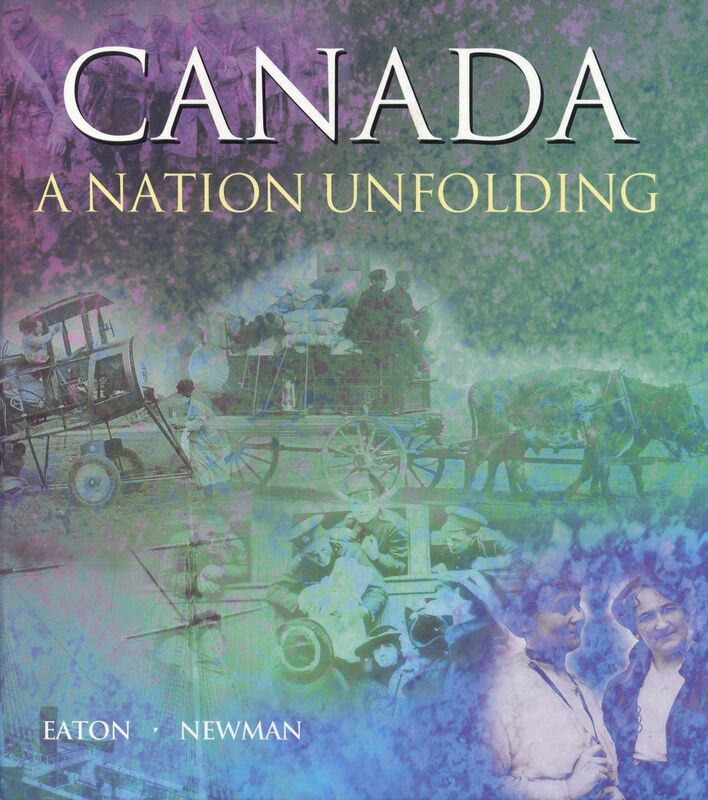 Diane Eaton and Garfield Newman, Canada: A Nation Unfolding (Toronto: McGraw-Hill Ryerson, 1994). 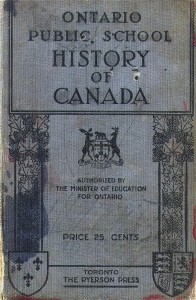 W. L. Grant, Ontario High School History of Canada (Toronto: T. Eaton Co., 1914). 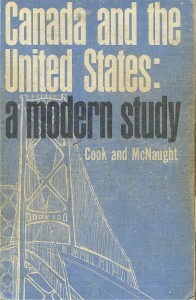 Kenneth W. McNaught and Ramsay Cook, Canada and the United States: A Modern Study (Toronto: Clark, Irwin, 1963). 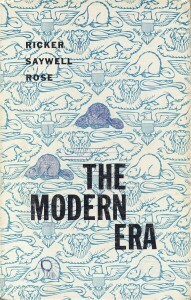 John C. Ricker, John T. Saywell and Elliot E. Rose, The Modern Era (Toronto: Clarke Irwin, 1960). 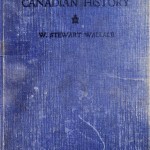 W. Stewart Wallace, A First Book of Canadian History (Toronto: The Macmillan Company, 1928). 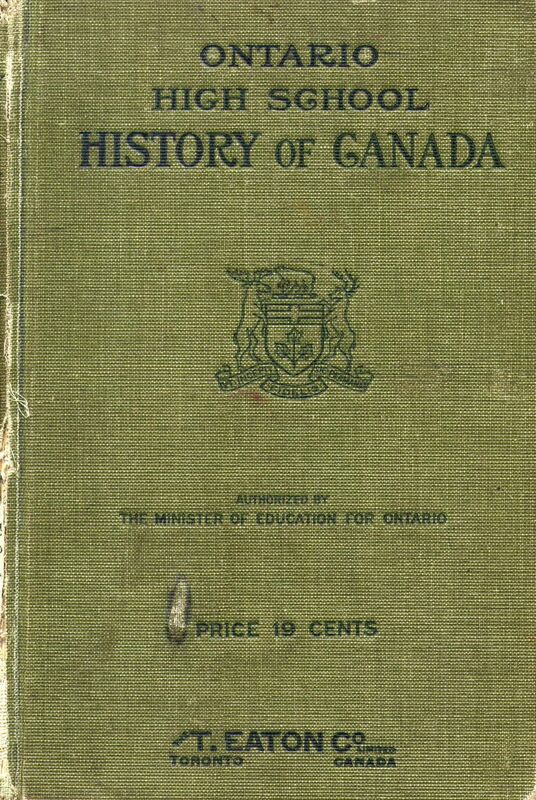 George W. Wrong, Ontario Public School History of Canada (Toronto: The Ryerson Press, 1921). Carl Berger, The Writing of Canadian History: Aspects of English-Canadian Historical Writing Since 1900, 2nd ed. (Toronto: University of Toronto Press, 1986). Penney Clark, “‘Liberty of Trade from the Thraldom of the Autocrats’: Provision of School Textbooks in Ontario, 1859-1909,” in Canadian Journal of Education (Vol. 29 No. 4), 2006. Marshall W. Conley & Kenneth Osborne, “Political Education in Canadian Schools: An Assessment of Social Studies and Political Science Courses and Pedagogy,” in International Journal of Political Education (Vol. 6), 1983. Daniel Francis. Myth, Memory and Canadian History (Vancouver: Aresenal Pulp Press, 1997). R.D. Gidney. From Hope to Harris: The Reshaping of Ontario’s Schools (Toronto: University of Toronto Press, 1999). Larry Glassford, “In Search of Citizenship Literacy: Assessing the New Civics Course,” in Rapport: Journal of the Ontario History and Social Science Teachers’ Association (Vol. 22 No. 2), Winter 2001. J.L. Granatstein, Who Killed Canadian History? (Toronto: Harper Collins, 1998). Ken Osborne, “Teaching History in Schools: A Canadian Debate,” in Journal of Curriculum Studies (Vol. 35 No. 5), 2003.
eter Seixas, “The Purposes of Teaching Canadian History,” in Canadian Social Studies (Vol. 36 No. 2), 2002. Robert M. Stamp, The Schools of Ontario, 1876-1976 (Toronto: University of Toronto Press, 1982). Citizenship Literacy and National Self-identity: The Historical Impact of Curriculum and Textbooks in Shaping the Character of Ontario by Larry A. Glassford is licensed under a Creative Commons Attribution-Noncommercial-No Derivative Works 2.5 Canada License.